Edition not stated. Signed and titled in pencil. Signed and dated in plate, lower right. Image size 9 3/4 x 7 3/4 inches (247 x 198 mm); sheet size 12 x 9 9/16 inches (305 x 242 mm). 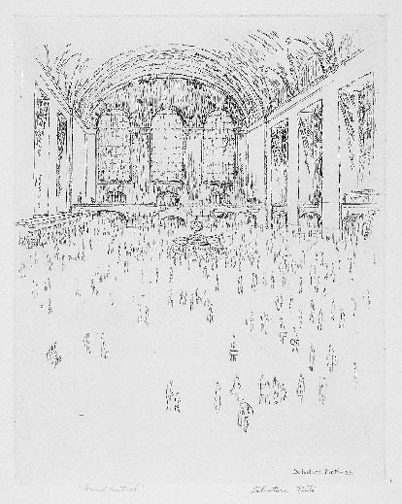 A fine impression, on cream wove paper, with full margins ( 1 to 1 3/16 inches). Minor skinning on the top sheet edge, otherwise in excellent condition. 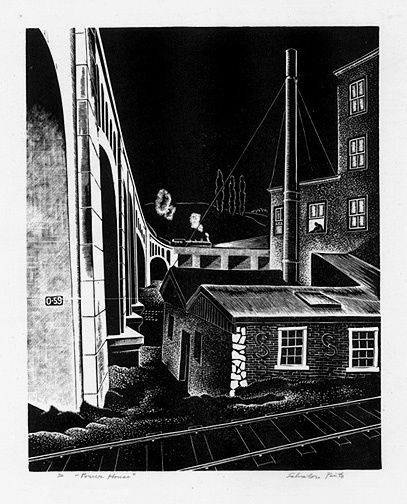 Power House, c. 1932, Wood Engraving. Edition 50. Signed, titled and annotated 50 in pencil. Image size 8 7/16 x 6 11/16 inches (214 x 170 mm); sheet size 12 13/16 x 10 15/16 inches (325 x 278 mm). A fine, black impression, on cream wove paper, with full margins (1 13/16 to 2 5/8 inches), in excellent condition.